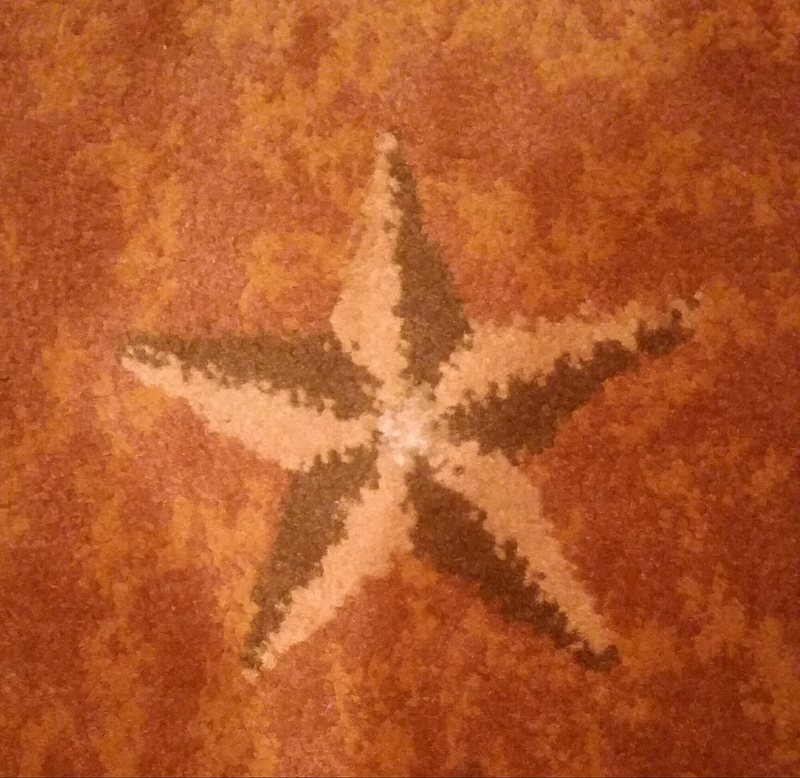 Here is the latest entry in my proposed coffee table book on hotel carpeting. Bonus points if you can guess what US state I’m in! This entry was posted in Books, Business, decor, Design, Humor, Travel and tagged book, Business, carpet, coffee table book, decor, design, hotel, Humor, star, Texas, Travel, US state. Bookmark the permalink. Carla what town in Texas are you putting your dusty boots and spurs up in? Austin — my first visit!